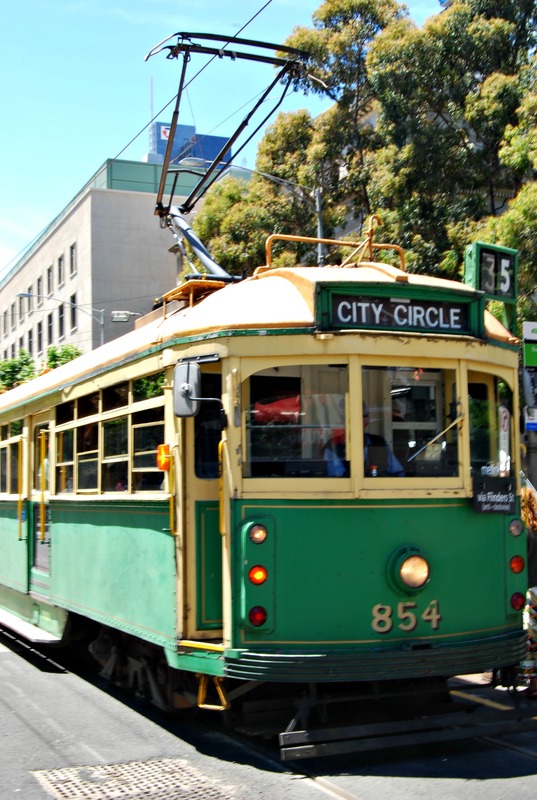 Melbourne apparently has the worlds largest tram network but getting around Melbourne is actually fairly simple and you'll find that the majority of Melbourne's attractions are located quite centrally anyway. .......You have to have what is known as a Myki card. The plus point of the card though is that it also covers the buses, metropolitan trains and regional commuter trains. ........You buy a card for $6 which you just need to keep topped up with sufficient funds to cover the cost of your trips getting around Melbourne. 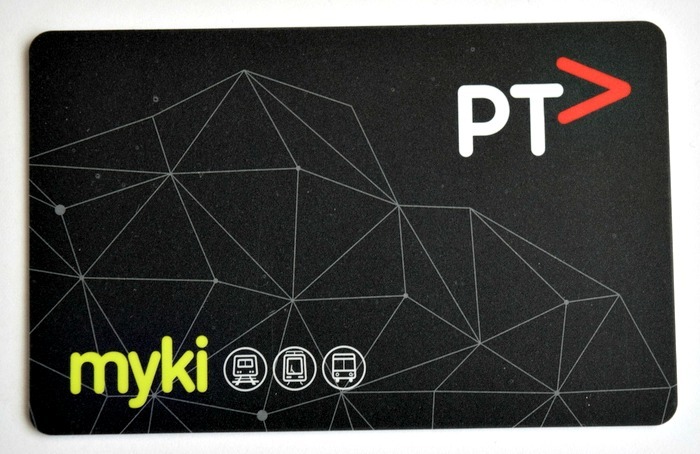 .......This has the Myki card, visitor info and special offers for some of the Melbourne visitor attractions so it can actually work out really good value to get this pack. You can pick up Explorer packs at the Melbourne Visitor Centre, at many of Melbourne's train stations, at concierge desks of the larger hotels and at Skybus terminals which you can find at Melbourne International airport, Avalon airport and Southern Cross railway station. They can also be bought online if you live in Australia. .........Children under the age of 5 travel free. (16 to 18 year olds should always carry proof of age). Check out the tram network map here. You must remember to touch on AND off on every trip when travelling around Melbourne (except if you get on and off in Melbourne CBD which is a Free Tram Zone) because Myki calculates the lowest fare according to which zones you travel in. Most trams routes are in Zone 1 with only a few in Zone two and with trains covering the further out locations. Prices obviously vary but typically a weekend or public holiday full fare for an adult is $6 a day and weekdays are $8.20 in Zones 1 and 2. Children, Australian Seniors and concession card holders pay $3. Funds can be put on the cards at over 800 Myki card retail outlets in Victoria including at all 7-Eleven stores. Travel in the central CBD district on trams is actually free so if you get on and off within this zone you won't even need a Myki card. 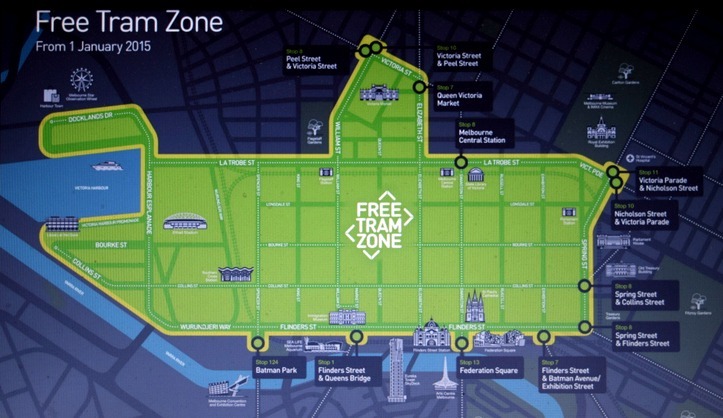 Get a copy of the Free Tram Zone map here. The trams make announcements before they leave the free zone so you shouldn't have any problems knowing when to get off. The free zone is just the central CBD area and Docklands so if you plan on visiting St Kilda for example you'll need to get a Myki card. ........and you also get an on-board commentary about places of interest in the city. You can also pick up a free map and city guide on board. 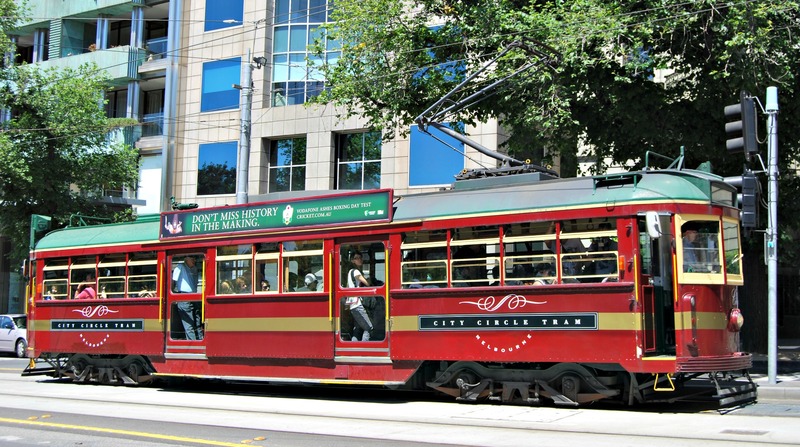 These trams run every 12 minutes or so. If you want to get a bit further out of the centre then you'll need a bus or train. The trains work on a rather radial network so often you'll need a train and a bus. Check out Victoria train routes here. Check out bus routes here. There's also another bus service called the Smartbus. Click here for Smartbus map.